Police investigating a stabbing in Cliftonville are appealing for witnesses to come forward. 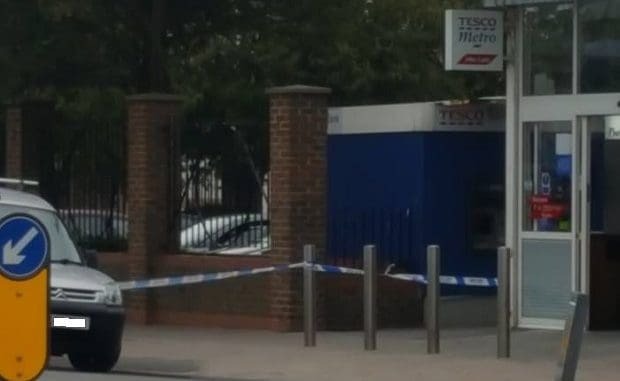 Police were called to Tesco Metro in Cliftonville at 1.50pm on September 11 to the report of the assault outside the supermarket in Northdown Road. It was reported that the victim, a man in his 30s, had got out of a car and was standing on the pavement when he became involved in an altercation with another man. Shortly after, the victim was assaulted and was taken to a London hospital with injuries consistent with a stabbing. Both victim and offender are believed to be known to each other. Detective Sergeant Brian Doughty of Kent Police said: “We would appeal to anyone who was in the area at the time to come forward, as you may have information which could assist our enquiries. Any witnesses are asked to call Kent Police on 01843 222289 quoting ZY/53984/18.